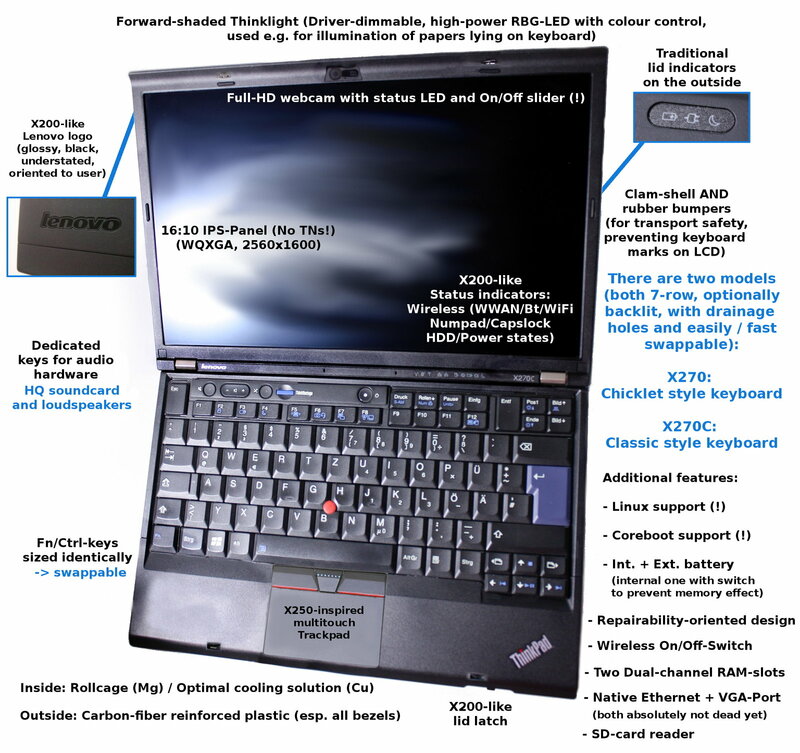 Recent Thinkpad models - especially those of the Tx40/Xx40 lines - featured some terrible design decisions regarding an Apple-like redesign of their cases and significant changes to what used to be the greatest laptop keyboard out there (Louis Rossmann has already explained that in an informative youtube video). In summer 2015, however, David Hill - Lenovo´s current chief design officer - started a series of surveys on what makes a real Thinkpad and on what the customers themselves wanted to see on their future Thinkpads (actually just on a special model called "Retro ThinkPad", but I assume the immense feedback from the surveys will also affect the other Thinkpad model lines, as good design is not "retro" but timeless). Feel free to contact me or post a comment, if you liked the article.